With the road trip now on a winter hiatus, I thought I’d put up a few comments on the last leg. 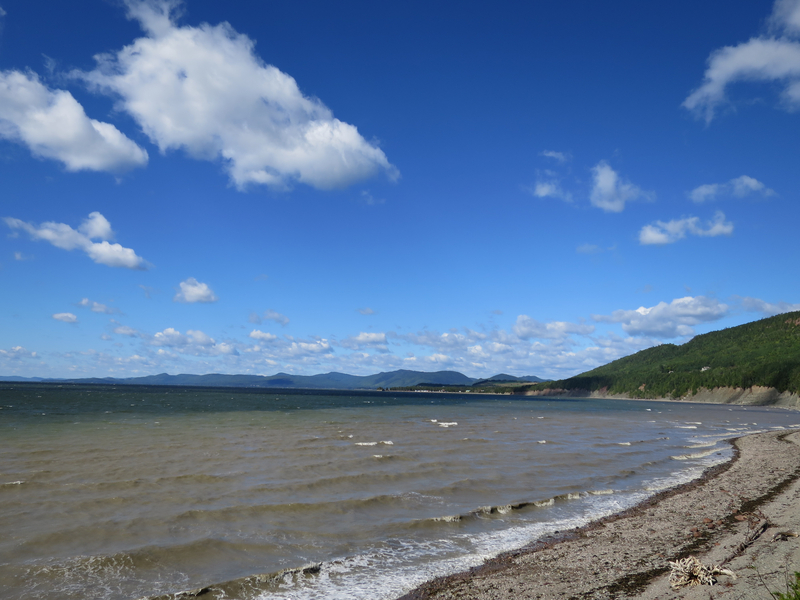 Rounding the Gaspésie peninsula, I stopped at The René Bureau Cliff to learn about the Age of Fishes. The park (Miguasha national park) became a UNESCO World Heritage site in 2007, in recognition of the number and well-preserved nature of the fossils found there dating from the Devonian period. 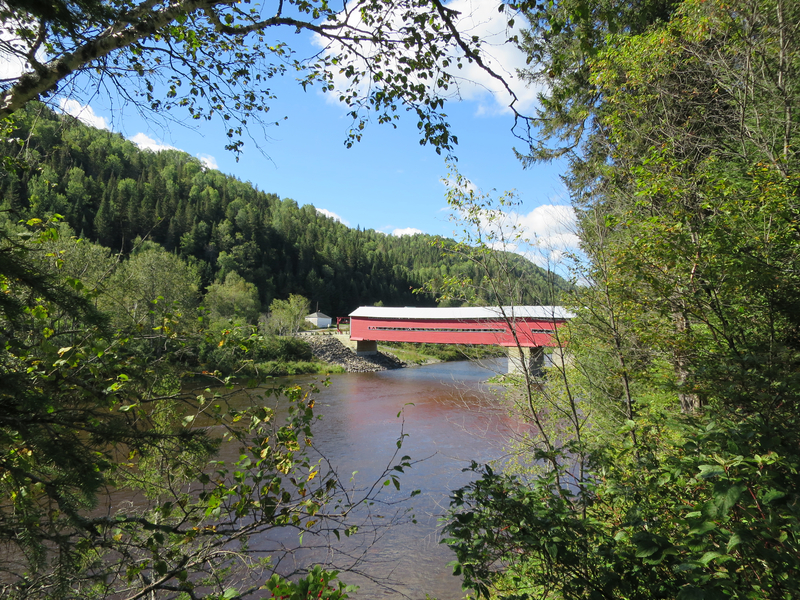 The rest of the 132 loop follows a valley dotted with covered bridges. Plenty of places to pull over for the night, if you weren’t in a hurry to stop driving on Québec roads.